30-day money-back guarantee (less shipping and processing fees). For ages 4 to 8. 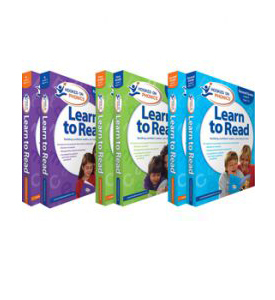 Hooked on Phonics Learn to Read program was carefully developed and designed for children of all needs, whether just learning to read, struggling to read or simply wanting to become more proficient readers. Hooked on Phonics Learn to Read program was carefully developed and designed for children of all needs, whether just learning to read, struggling to read or simply wanting to become more proficient readers. Working with our team of leading educators, award-winning authors and artists, teachers, and parents just like you, we’ve developed the new Learn to Read to help your child become a confident reader with a lifelong love of learning — in just minutes a day. Build skills seamlessly, throughout key stages of development. Designed for children 4 – 8 years of age, Learn to Read creates a foundation for learning and continues to build upon it, boosting your child’s reading skills systematically as your child grows (Kindergarten through 2nd grade). Discover the fun of learning, and you experience the joy of helping your child grow. When learning is fun, your child will take to it like play. 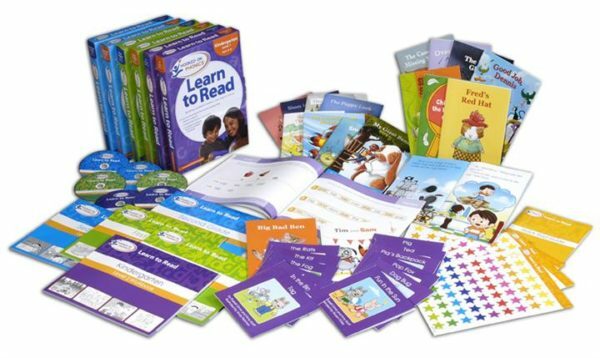 Learn to Read features attention-grabbing games, colorful cards, toe-tapping music and more, unlocking the world of learning and reading in a fun & magical way. Learn to Read in just minutes a day. Though todays modern parents are busier than ever, Learn to Read is designed to fit your busy life. Just 15-20 minutes a day, a few days each week is all youll need to transform your child into a confident and skilled reader. Your child learns new letters, sounds & words by watching our fun & interactive DVDs. Your child then practices using our engaging companion workbooks, specially designed to make reading fun and to reinforce what they’ve just learned. Using the words your child just practiced, they read on their own from a library of beautifully illustrated storybooks from award-winning authors. Successful reading is faster than ever with Hooked on Phonics’ exclusive online access to games, downloadable worksheets, interactive progress tracking, book recommendations and more. This program is a great tool for beginning readers as well as more advanced. Hooked on Phonics is amazing!!! I am so happy to have Hooked on Phonics. My parents used it on me and now I can use it for my daughter.